What if you spent your holidays getting healthy? Annual leave is a precious thing, so most of us like to spend it on a beach, with a coconut cocktail doing absolutely nothing. Or so we thought. An emerging industry of five-star fitness retreats are taking over prime Bali cocktail-drinking land, promising 'wellcations' to kick-start weight loss and get fit -- all without a vodka pineapple in sight. 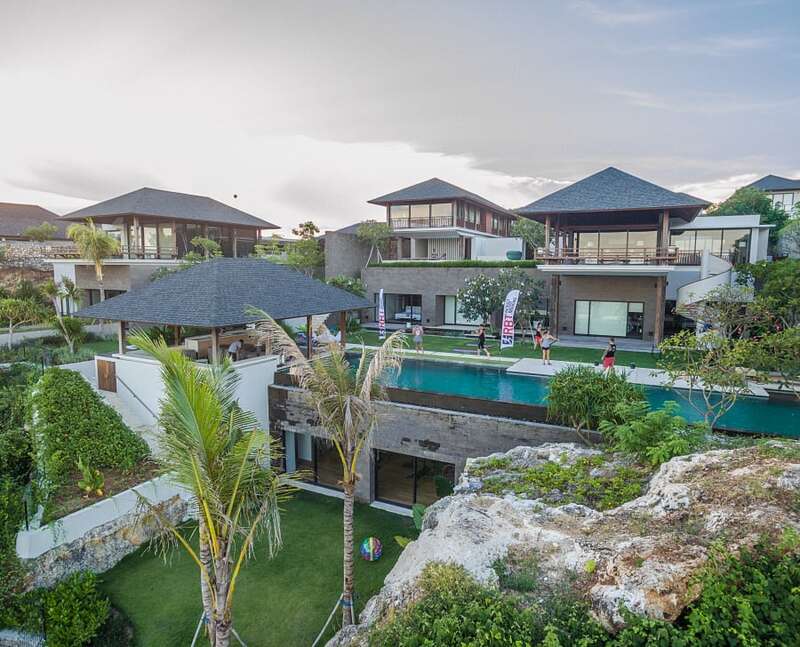 Australian gym Result Based Training has opened a Bali retreat to run seven-day weight loss programs and head coach Travis 'TJ' Jones told The Huffington Post Australia it was a different approach to holidays. 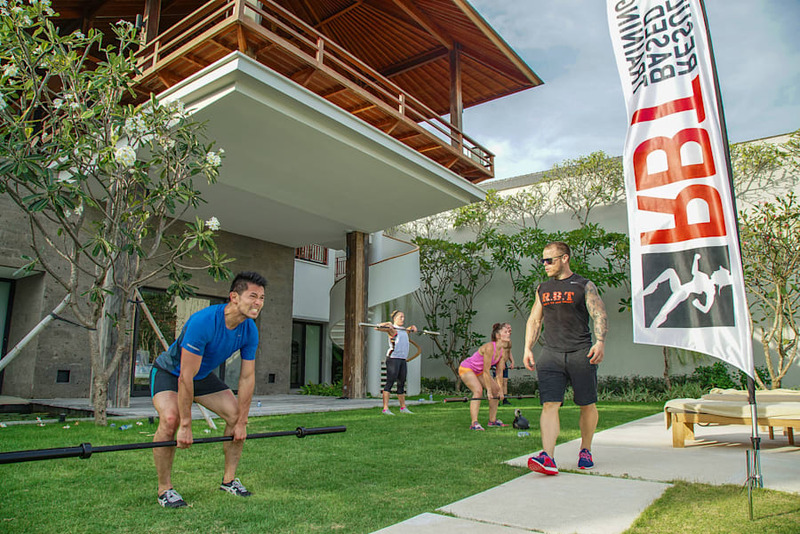 Australian gym Result Based Training operates a fitness retreat in Bali. "I think what we all look for in a holiday is some form of self awareness -- we want to get away, relax, see where we are at in life," Jones said. "The people on a holiday who want to get drunk for a week straight are trying to escape life. I think it's better to spend a week with a different perspective so you come home feeling ready and in a good place." It's a luxury villa, but you're not expected to lounge by the pool with a cocktail. Jones said it wasn't easy setting up a gym in Bali, but that people sometimes needed a new environment to spark change. "The biggest struggle was getting the villa and then building a gym from scratch because it's not easy to import equipment -- it will just end up sitting at the docks," Jones said. "A set-up that would cost $15,000 in Australia was more like $50,000 but now that it's complete, you walk in and it's just breathtaking. There's also daily massages and meditation at the Bali villa. "To make a change in your life, sometimes you need a new environment away from the distractions and the villa in Bali is five star." In the same spirit of getting away from everyday life is surfing camp-turned wellness resort Komune Hotel created by Australians surfer Luke Egan, resort owner Tony de Leede and developer Tony Cannon. While you've always been able to go night surfing at the lit break out the front, and do daily surfing lessons at the beach, in late 2015 they opened a health hub. It's got a fitness centre, yoga pavilion and training pool to complement your surfing or just work on the beach bod. It's not a pure health retreat though, so there's also cocktails aplenty and a party atmosphere on weekends. Then there's the active holidays that venture beyond resort walls like SpiceRoads cycling tours through Bali. Their seven-day mountain biking adventure winds between rice paddies, skirts volcanoes and cruises along coastal roads through Bali's lesser-known regions. Each day is more than a 30km ride, but you'll barely notice with the gorgeous scenery. Then for those who are more into health eating than sweating in the tropics, there's a seven-day raw food experience at Fivelements. The luxury resort's program Cuisine for Life teaches participants to prepare raw, vegan foods using techniques like including juicing, sprouting, fermenting, low temperature baking and dehydrating.